0.1% Fee for bitCNY, bitUSD, and bitEUR Markets? The markets with bitCNY, bitUSD and bitEUR now have a 0.1 % market fee. Why the change? Were there any announcements made? Is this possibly (hopefully!?) temporary? Re: 0.1% Fee for bitCNY, bitUSD, and bitEUR Markets? Thanks, after reading through some recent forum posts, I was just about to post the first link. I hadn't found the second one yet. In my opinion, changes like this need to be announced somewhere prominent before being implemented. Is there somewhere like this that I'm not aware of? I do understand that this was being discussed on the forum, but most users aren't following all the topics every day, and the thread titles don't suggest that any decisions were finalized. I initiated an announcement to be made by the BBF. It came late as I was on travel whole week and couldn't keep up with stuff .. Thanks xeroc! 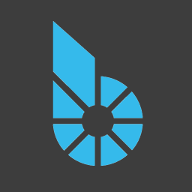 I'm still learning how to keep track of BitShares related news - the BitShares Blockchain Foundation site is definitely one worth watching. Not too much traffic yet, but the critical and announcement one should be of interest to most ..